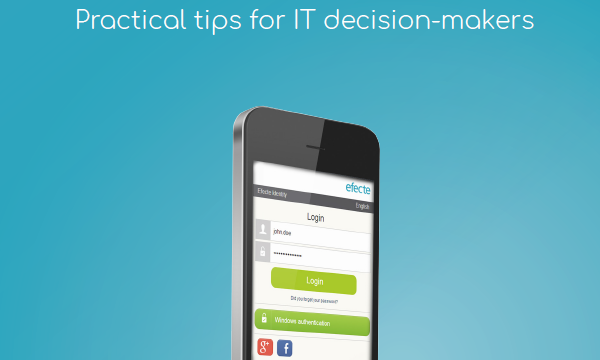 Get inspired with eBooks, whitepapers and video presentations. 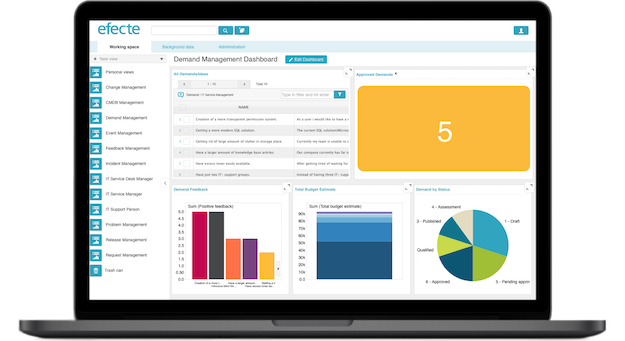 We cover themes around IT Service Management like Service Catalog, GDPR, agile ITSM or Artificial Intelligence. 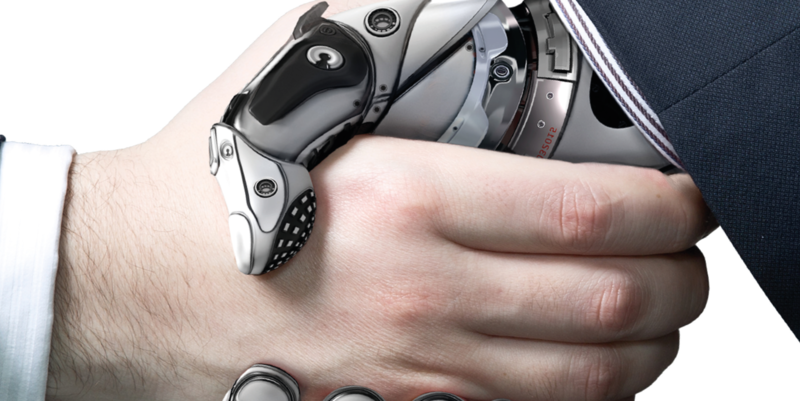 Artificial Intelligence is making its way towards IT Service Management. This Whitepaper brings a holistic approach to all areas where AI will play a vital role and enhances the way we work. 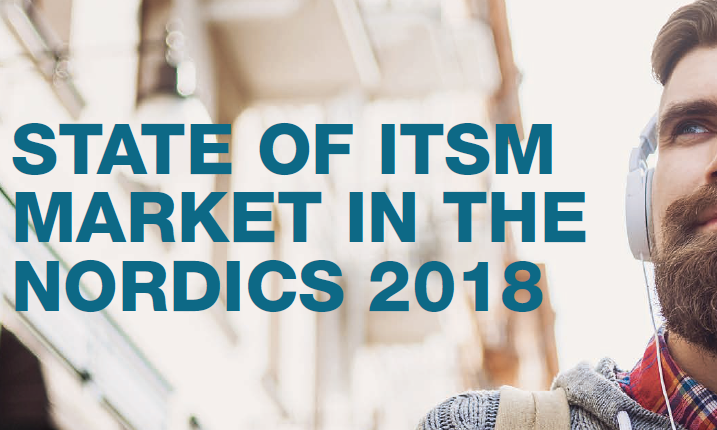 What is important in an ITSM solution for Nordic IT decision-makers and how are leading vendors doing? 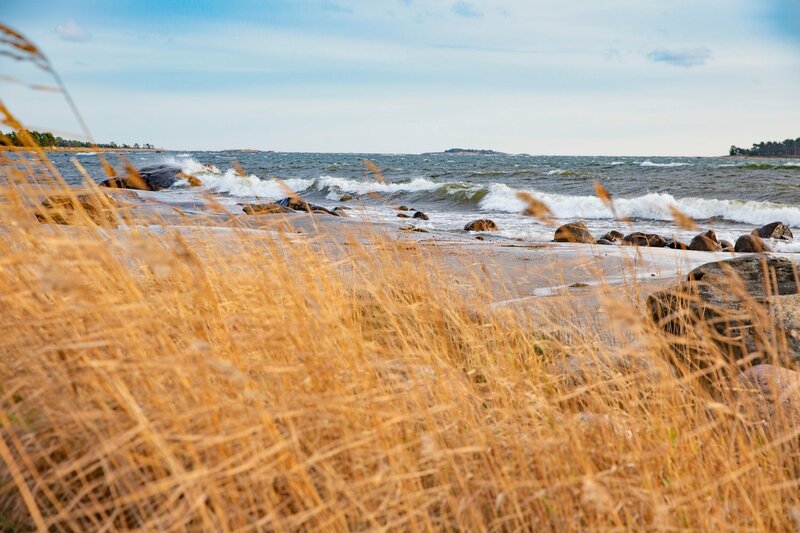 Read a summary of a study conducted in Spring 2018. 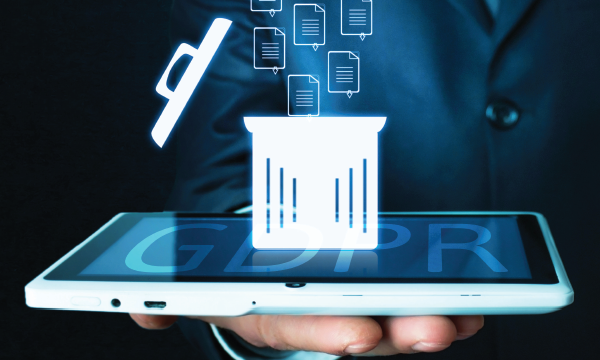 GDPR forces IT Service Managers to rethink their data retention policies. 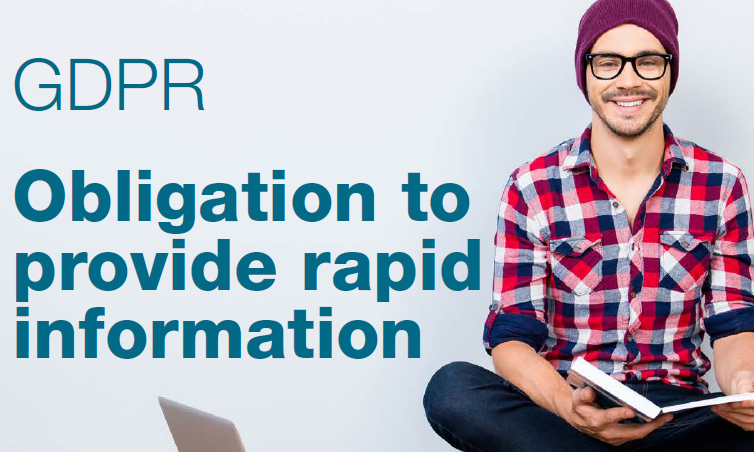 This paper presents three simple steps to comply with GDPR’s Right to be Forgotten. All incidents in connection with personal data need to be reported within 72 hours. The majority of companies cannot even come close to complying with this time frame. 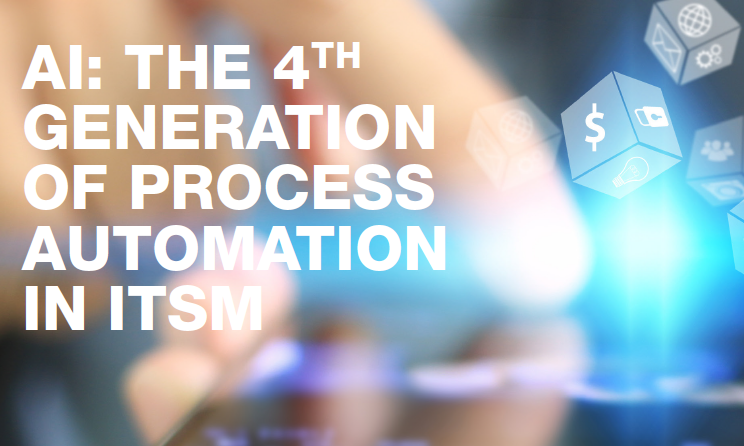 Discover how an ITSM Solution can help. 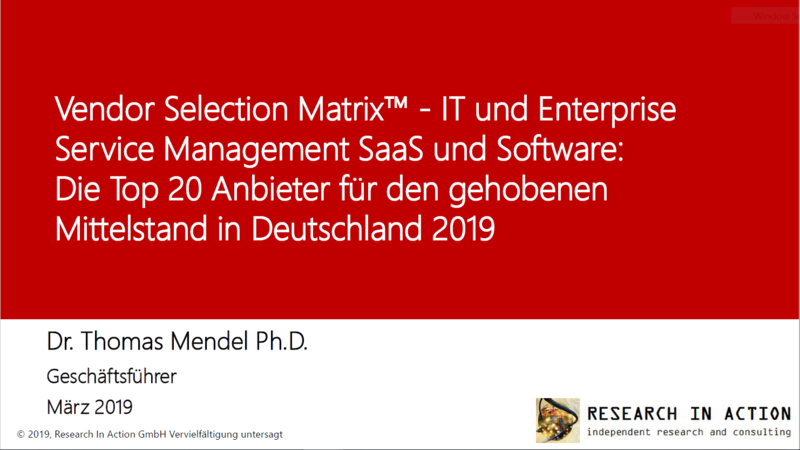 German analyst firm Research in Action compares 20 software providers from the IT and Enterprise Service Management sectors and explains trends and challenges in the industry. Efecte is proud to have been one of the top 10 manufacturers in Germany from the very beginning. Managing data and access to it is becoming increasingly challenging as the business IT environment evolves at an increasing speed. This guide gives practical tips how IT decision-makers can ensure that the organization’s IAM stands up to scrutiny. 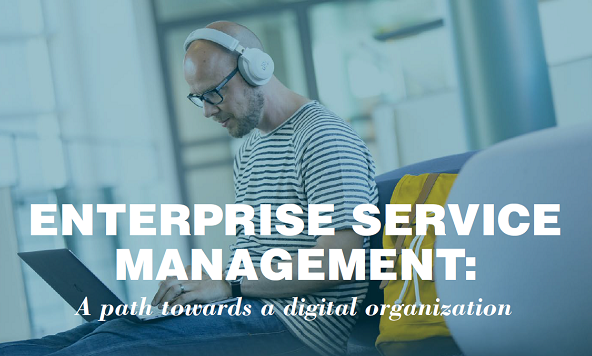 Our Ebook provides you with guidance and thoughts about how Enterprise Service Management can drive the digital transformation in the company, which steps have to be observed and what you should pay attention to in order to implement a successful ESM strategy. This study investigates how companies from the DACH-region, i.e. Germany, Austria and Switzerland, manage their IT services, but also - and particularly - other services such as HR and financial services, or customer service. ITIL 4: Agile revolution or repackaging the old? ITIL 4 was released in late February 2019. What are the differences to ITIL V3 and what is the added value offered by the new version of the best practice framework for companies and their IT departments? 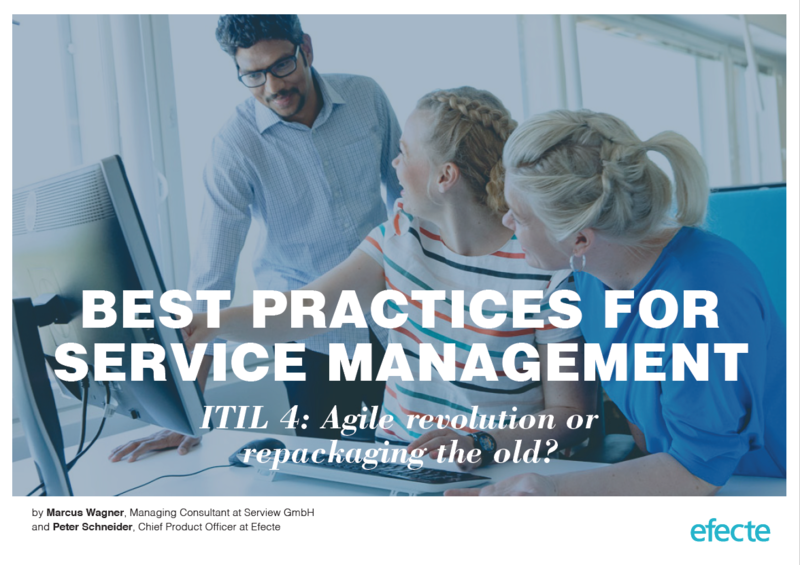 Agile Service Management - Finally a topic in ITIL? Today, your Service Management has to be able to quickly adapt to new challenges and work in harmony with the business. Is ITIL framework able to adapt to the needed change? AI-powered Service Desks – Yes, please! AI-power will allow service desks to cut costs, scale output and boost service experience. 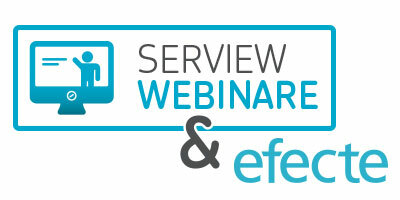 Join our webinar. 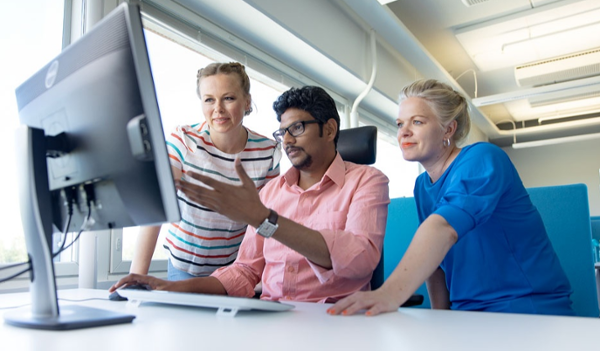 People Analytics meets HR Service Delivery – how transparency and data can boost the role of HR departments and help to retain key talent. Peter discusses four topics you should take into account to future-proof you service catalogue for 2020. 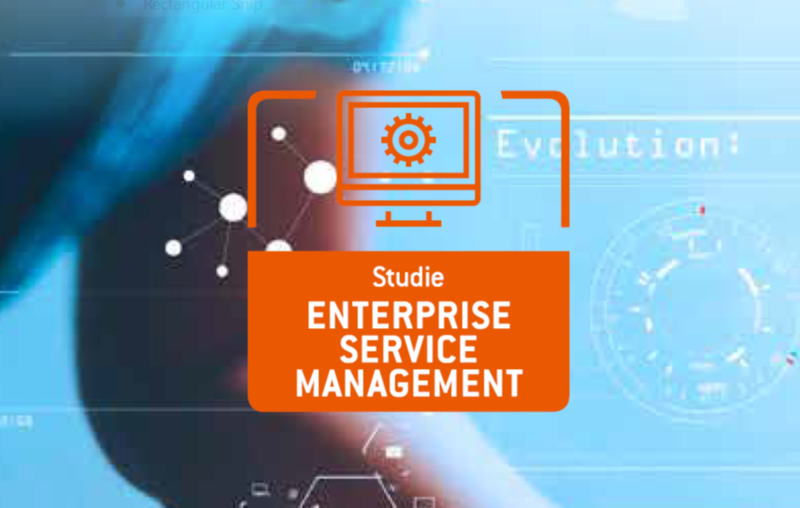 Peter explains the status quo of Enterprise Service Management in DACH-based companies and what is important when choosing an ESM solution. 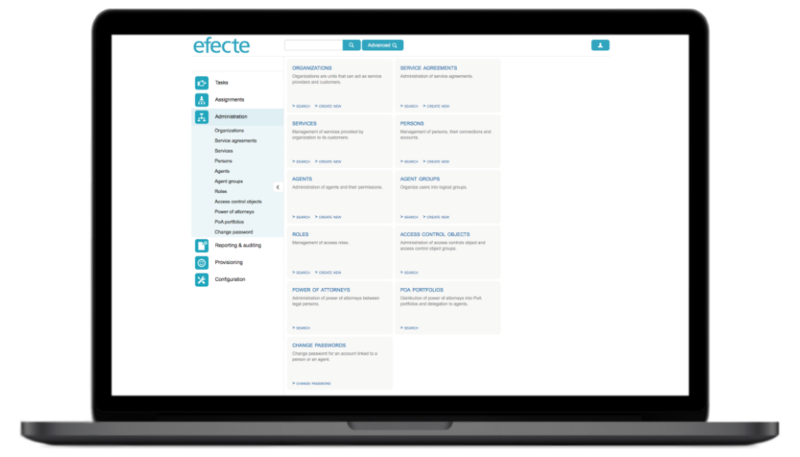 The Efecte IT Service Management solution description will give an in-depth look into the out-of-the-box functions and features of our solution. 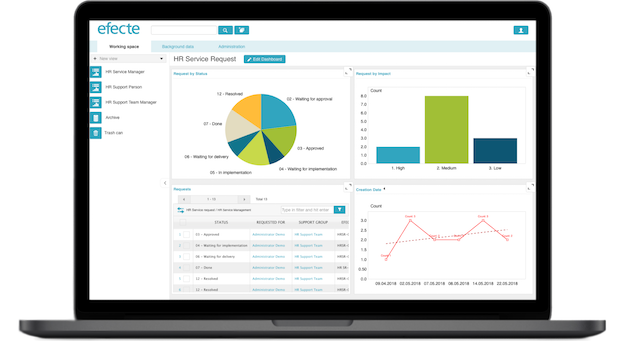 The Efecte HR Service Management solution description will give an in-depth look into the out-of-the-box functions and features of our solution. 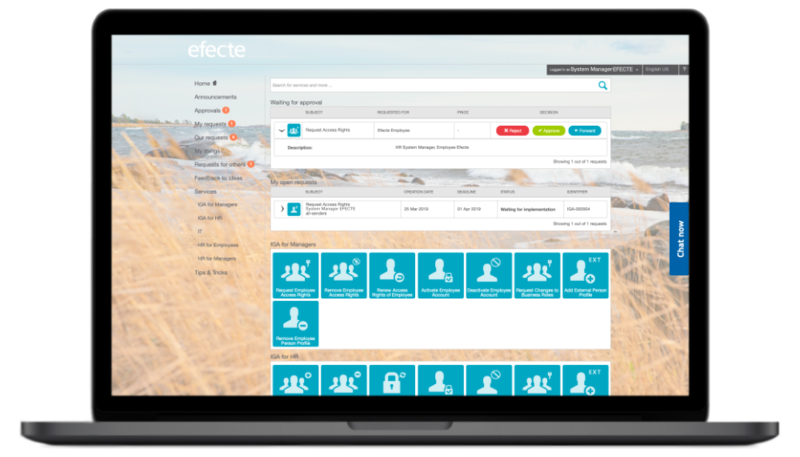 The Efecte Identity Governance and Administration solution description will give an in-depth look into the out-of-the-box functions and features of our solution.